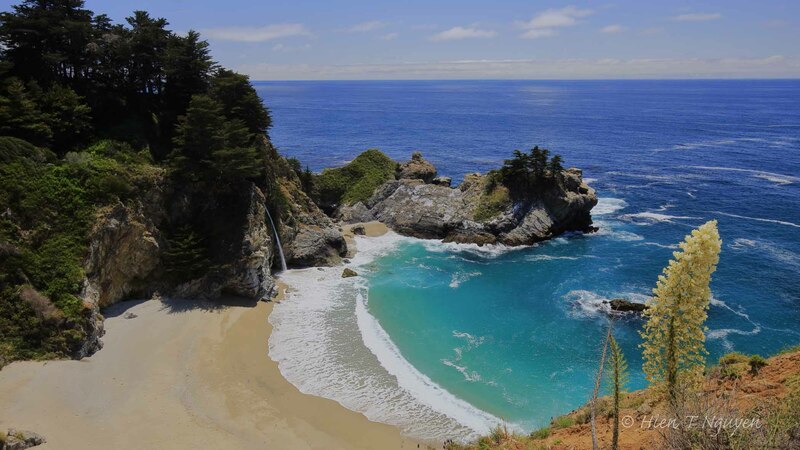 I’ve been taking pictures of McWay Falls in the heart of Big Sur for several years, always hiking the 1/4 mile (1.2 km) trail, going through a tunnel under the highway, and to a small shaded area at the end. This year, I decided to turn left, or south, to go over to the other side of the cove. 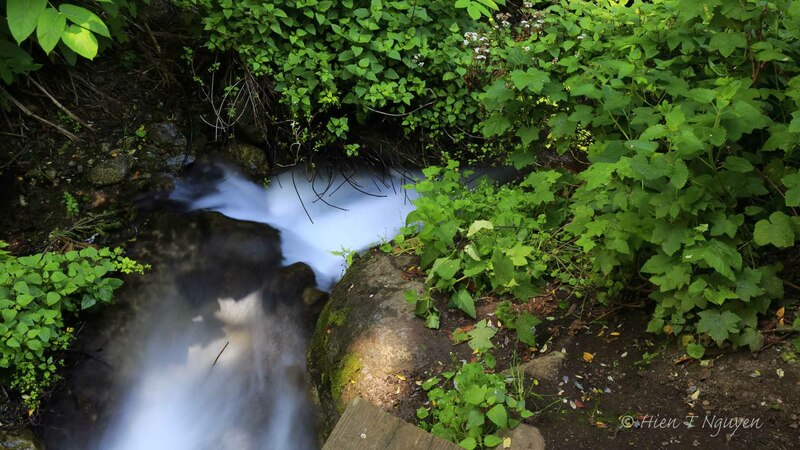 On the way I took this photo of McWay Creek as it flows resolutely toward the ocean. 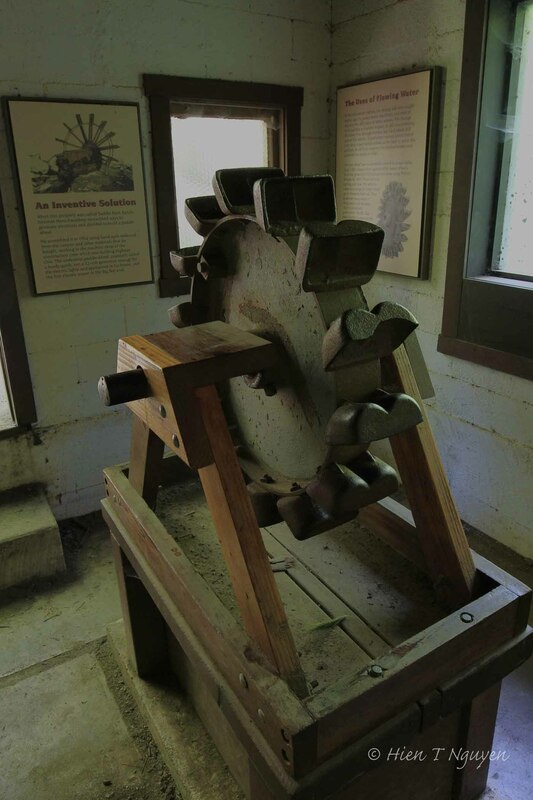 Many years ago, using the force of the water, Lathrop Brown, the owner of the property generated electricity for his house with a Pelton wheel which is still displayed in a small shack. Pelton wheel used long ago to generate electricity from McWay Creek. Past Pelton wheel, the trail went upward until the top of the falls was reached. There was a fence to prevent people from going over and bracing myself against it I shot the following photo. The vertical drop is about 80 ft (24 m). 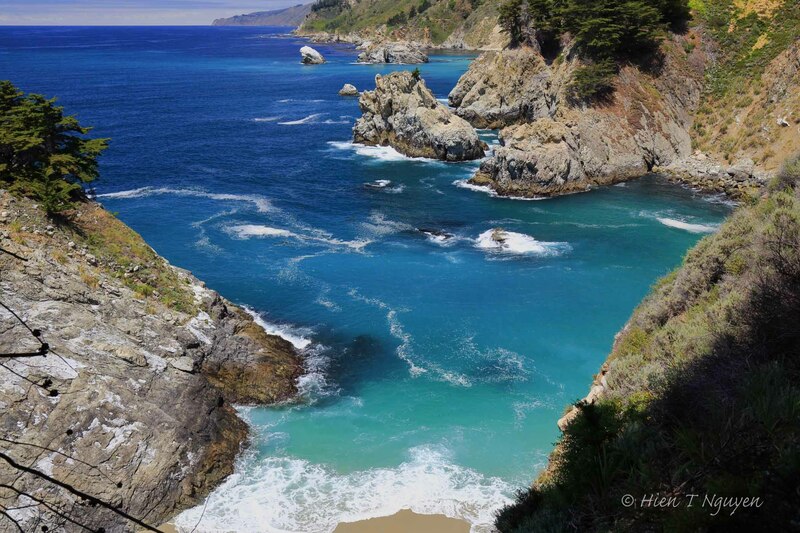 View from the top of McWay Falls. Turning around, I retraced my steps and went to the other side to take the classic shots of the falls. While the previous days were cloudy and rainy, on that day the sun shone brightly and you could see forever out toward the ocean. Going back I noticed several Agave plants growing on the slopes, and one had an incongruously tall flower towering over the cove. 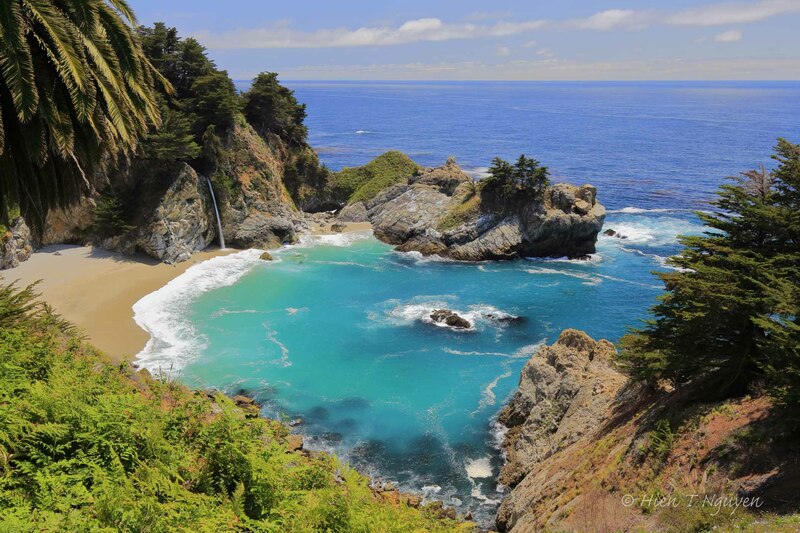 McWay Falls and Agave bloom.